The course was promoted in the World of Golf Magazine, 1909 as ‘a charming holiday course’ which would please visitors, on account of all of the facilities, attractions and shopping opportunities in and around Bridge of Allan. Wives and partners with no interest in golf could be well entertained by all that Bridge of Allan has to offer. The same is still true, over a hundred years later. This photograph was loaned by Evelyn Cameron. The Smith welcomes the opportunity of copying historic photographs. 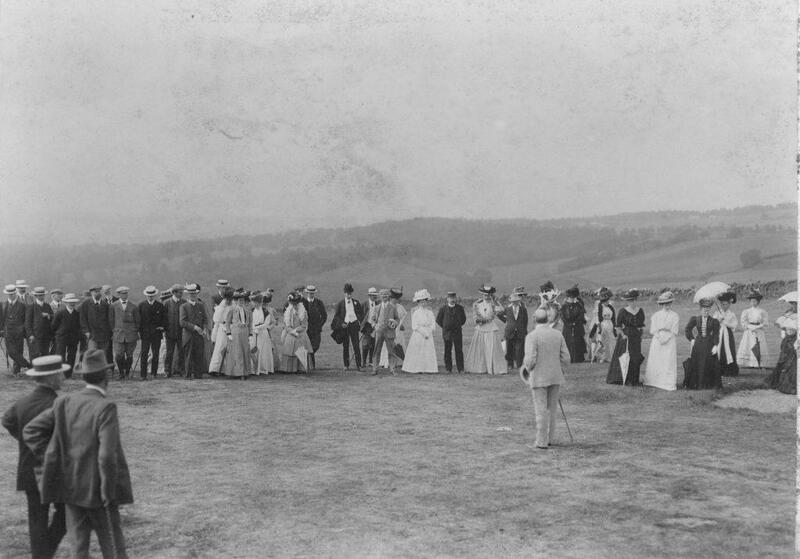 I have a picture of my grandmother playing golf at that course, back in early 1900’s would you like to see it?